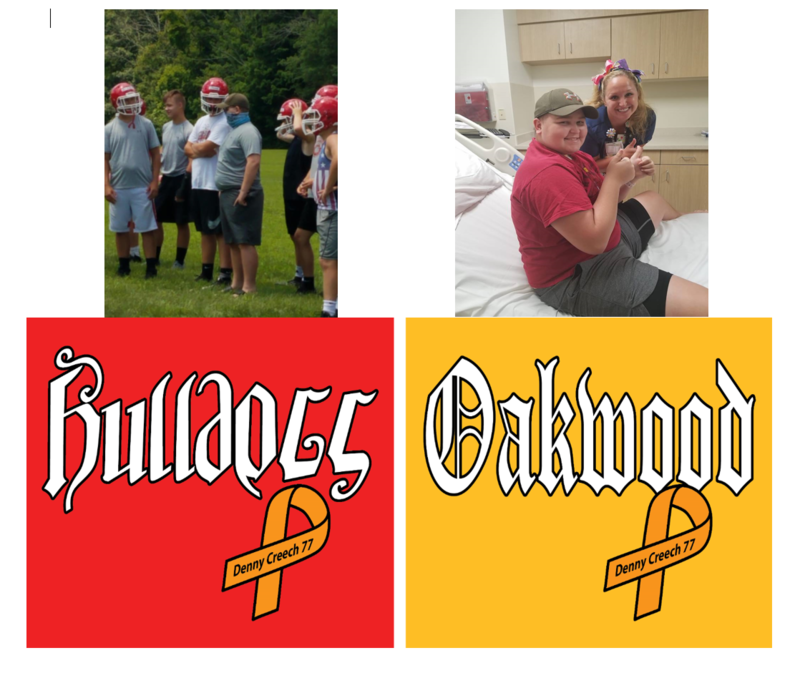 Denny Creech is a Sophomore football player for Milton-Union High School who was diagnosed with leukemia at the end of May 2018. Denny has entered into the fight of his life with T Cell Leukemia. Denny has bravely taken on chemotherapy and radiation treatments all summer long. Recently, Denny has been moved into the high-risk category. The Creech family have compiled high medical and travel bills because of this battle. August 31 Milton-Union High School will be playing Oakwood High School at Milton-Union. We are issuing a challenge to both fan bases to purchase and wear the shirt supporting your school and Denny Creech to the game. All profits will be donated directly to the Creech family to meet the financial hardship they are currently facing. You can easily order a shirt by visiting the link below and select your size and quantity. The shirts will be delivered to your school’s Athletic Director. Your school’s Athletic Director will then get the shirts to the proper people.